Get your avocado layer ready. 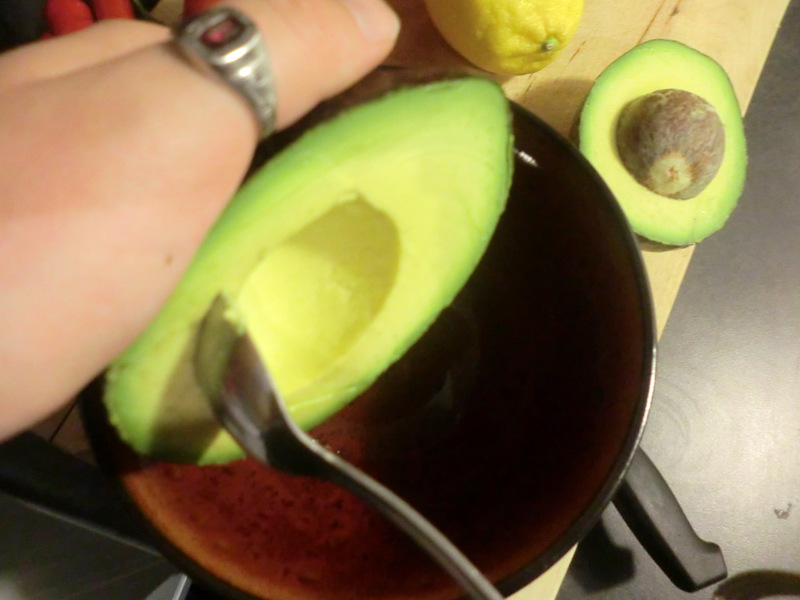 ***Hint: The easiest way to get at the insides of an avocado is to slice in it in half and pull it apart. Now you have two halves and you can use a spoon to scoop it out.